Resilience is another one of those terms that seems to have popped up everywhere recently. Another “buzzword”. 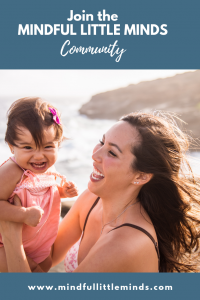 A lot of parents tell me that they feel their child lacks resilience, that their child is not as resilient as their peers, or that they’d like some tips for increasing their child’s resilience. But what does that actually mean? Well, what they’re essentially asking me is, “How can I better prepare my child to manage stressful situations?” We can’t protect children from all the challenges and stressors that life throws at them, no matter how much we’d like to. Things like starting school, the loss of a family member, moving house, the birth of a new sibling, illness or injury – these things happen. They are an unavoidable part of life. And they can be stressful for little people (and big people too!). So if we can’t protect our children from these stressors, then what can we do? How do we prevent them from collapsing into a puddle on the floor when things become difficult? And why do some kids seem to cope better with these challenges and difficulties than others? Resilience is the ability to cope with stressors and challenges in life, in a healthy and productive way. Resilient children are able to bounce back from challenges. They can adapt to changes in their lives and navigate relationships effectively. Resilient children are not necessarily less stressed than other children. But they are better able to deal with the stressors they face on a day to day basis. They are also better prepared to face future challenges. Because they have learned some very effective skills that help them deal with stress. 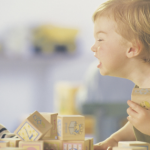 A child who is resilient is able to competently label and express their emotions. They know how to challenge and adjust negative thinking patterns. They use a range of strategies to manage strong emotions. They rearrange their plans when something unexpected comes up. They can identify and respond appropriately to the emotions of others. They problem solve their way through difficult situations, trying a variety of strategies until something sticks. They keep trying when something is difficult, but also know when it’s time to ask others for help. There is no one way to be resilient. Resilience looks different for everyone. And resilience itself is not a skill to be learned. Resilience is what happens when we learn many different skills. Coping skills. Social skills. Emotion regulation. Problem solving. Help seeking. Goal setting. Gratitude. Mindfulness. Resilience is partly determined by genetics, or internal factors – things like our natural temperament and personality. Some kids become more distressed when faced with a challenge than others. Some struggle more with learning social and emotional skills. When it comes to stress, all kids have a different baseline and different triggers. Some children are more sensitive to both negative and positive experiences. Resilience is also determined in part by our environment – our family, our community, the society we live in. Some kids face more adversity than others. Some have better supports available to them. Some have adults in their lives who demonstrate, model and explicitly teach them the skills they need to be resilient. And then there’s our brain. When we experience a stressor, this triggers a series of events in the brain, designed to help us deal with that stressor. A whole series of chemical reactions occur. Our body is flooded with adrenaline, as well as the stress hormone, cortisol. These hormones prepare our bodies to deal with a physical threat. Our heart rate increases as blood is pumped quickly to our arms and legs so we can run away. Our digestive system slows down so that it doesn’t use up the precious energy our body needs to fight. And our prefrontal cortex – the area of our brains responsible for reasoning, and higher order thinking, is temporarily shut down. This is not a time for thinking, it is a time for acting. And quickly. The problem with this of course, is that often the stressors our children encounter are not short lived, physical threats. There’s no wild animal in the woods that they need to escape from. Their stressors are ongoing. And so the brain has trouble switching off the stress response, and the more primitive limbic system – the area of the brain that houses the amygdala, or emotional control system – remains in control. Over time, this stress response becomes toxic to a child’s brain and body (ever wondered why we tend to get sick when we’re stressed? Chronic, toxic stress weakens our immune system!). We need to teach children how to bring their prefrontal cortex back online, so they can calm down their emotional brain, switch off the stress response and learn the skills they need to manage stress more effectively next time. That’s how they become resilient. Research has shown that in order to be resilient, children need at least one stable, committed relationship with a supportive adult. Relationships with adults are protective and help children feel loved and valued. These responsive and nurturing relationships help the brain develop as it should. This means children are able to learn the important coping skills that they need to be resilient. Without these relationships, the brain senses threat, and the stress response will remain activated, limiting a child’s ability to learn new skills. And don’t forget to nurture and encourage supportive, healthy, friendships with peers too. 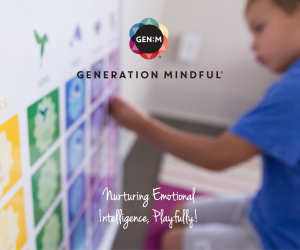 These help children learn important social and emotional skills and keep them feeling connected. This begins when they are very young – help them label their feelings so they can find the language to express how they feel. Validate their feelings so they learn that all emotions are important and need not be feared. Teach them appropriate ways to express how they feel and give them strategies to manage when they feel overwhelmed by strong emotions. Mindfulness has been shown, time and again, to improve resilience in kids. Remember when we spoke about the stress response and the way it shuts down the prefrontal cortex? Well, mindfulness causes changes to occur in the brain that strengthen the pre-frontal cortex. While it’s doing that, it’s also reducing activity in the amygdala. This allows the prefrontal cortex to regain control, calming the emotional brain. And when the emotional brain is calm, so is your child. 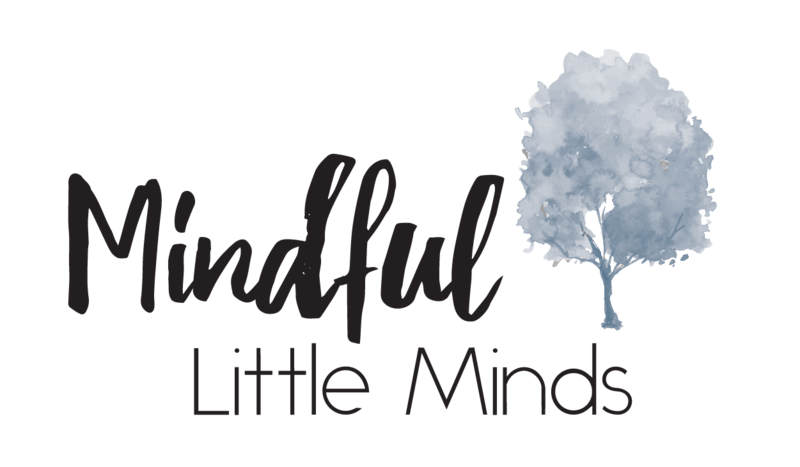 For more information on how to teach and practice mindfulness with your child, check out my FREE mindfulness workbook for kids. Encourage them to think of all the possible solutions to a problem and then weigh up the pros and cons of each alternative until they come up with the best fit. Try to resist the urge to jump in with the answer – let them figure it out for themselves. And don’t forget to nurture and encourage their creativity – creative people tend to be effective problem solvers because they can think outside the box! Often we think that “coping” means doing things alone and never needing to ask anyone for help. Kids are no different. Ensure they understand that asking for help is sometimes the best coping strategy in their toolbox. Knowing when something is beyond your capabilities, and knowing who, and how, to ask for help, is super important when managing stress. Exercise protects us against some of the physiological effects of stress, by releasing chemicals that calm the brain. In fact, it’s exactly what our brain is preparing us to do when it triggers the stress response. Get moving, and your brain will think that you’ve run away from that wild bear and will switch off the response – it thinks you’re safe now! Go swimming, play catch, go for a run, play tag, ride a bike, walk the dog. It doesn’t matter. Just get them moving. When we are stressed, we can get stuck in negative thought patterns. This can make situations seem more difficult than they actually are. Teach them to identify negative thinking and reframe it so that it is more realistic. This will help the situation seem less threatening, and they will feel more confident and capable of tackling it. If you’re unsure how to do this, check out this blog post for more information! Age appropriate risks are important. They help children learn their limits, and how to cope when things don’t go to plan. They also help them develop their decision making skills, another function of the prefrontal cortex which is important in times of stress. At least not every time! Resist the urge to help them with things you know they can manage. When children face small challenges early on in their lives, they learn skills to manage the bigger challenges that come later. If they never experience any stress, they will never learn any stress management skills! I mentioned this in my post about self esteem, and it’s no coincidence that it made it onto this list as well! When children feel competent and capable, they have more confidence in their ability to do hard things, and conquer challenges. Give them tasks that they can excel at. Help them gain a sense of mastery. Give them responsibilities, trust them with tasks. Let them know that you believe in their abilities and in them. Kids with a growth mindset believe that they can improve their skills through practice and hard work. This is different to children with a fixed mindset who believe they are simply born with skills (or a lack of skills) that cannot be changed. 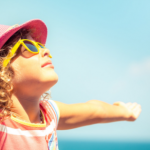 Children with a fixed mindset are more likely to give up easily because they do not feel they have any control over a situation. If you believe you (or your situation), can improve, you will keep trying new strategies until something solves the problem. Children look to the adults in their lives for information on how to respond to the world. If you model appropriate and adaptive reactions to stress, children will learn to do this also. Use helpful coping strategies, seek help when you need to, demonstrate effective problem solving, and express emotions in a healthy way. Show them what resilience looks like – you are by far their best teacher! Love this post, Sarah. Feels like it was written for me!